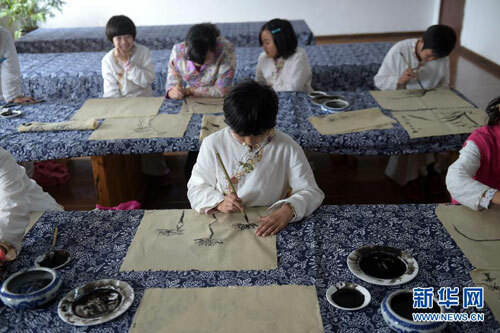 Students learn Chinese painting in a school in Qufu, Shandong. Shandong is known as the “birthplace of Confucius and Mencius” and also the origin of the etiquette. Shandong province has included Nishan school and Confucianism Lectures in village into the public culture service system since this May, which generates activities like reading the classic literature, spread of Chinese studies, rites and music, morality practice and interest cultivation. The programme has planned to add 150 more Nishan schools based on libraries at different level in order to better preserve the traditional culture.